Interview with Mr John Bell, Principal Advisor to the Pharmaceutical Society of Australia Pharmacy Self Care Programme; Practitioner/Teacher in Primary Health Care at the Graduate School of Health, University of Technology Sydney, Australia as part of the Global Respiratory Infection Partnership meeting held in Thailand in September 2017. Interview with Dr Martin Duerden, Clinical Adviser on Prescribing to the UK Royal College of General Practitioners and Honorary Senior Research Fellow, Bangor University, Wales, UK as part of the Global Respiratory Infection Partnership meeting held in Thailand in September 2017. 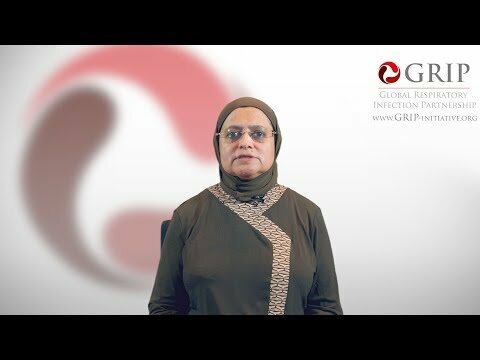 Interview with Prof. Sabiha Essack, South African Research Chair in Antibiotic Resistance and One Health and Professor in Pharmaceutical Sciences, University of KwaZulu-Natal (UKZN), South Africa as part of the Global Respiratory Infection Partnership meeting held in Thailand in September 2017. 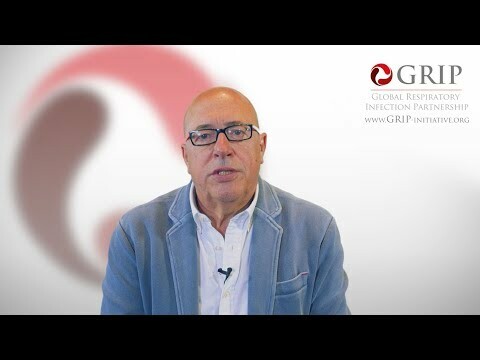 Interview with Dr Aurelio Sessa, Family Physician and Senior Partner, Arcisate, Italy as part of the Global Respiratory Infection Partnership meeting held in Thailand in September 2017. Interview with Dr Ashok Mahashur, President of the Indian Chest Society and Consultant Chest Physician, Mumbai, India as part of the Global Respiratory Infection Partnership meeting held in Thailand in September 2017. Interview with Prof. Roman Kozlov, Director of the Institute of Antimicrobial Chemotherapy, Smolensk State Medical University; Chief Specialist of the Ministry of Health of the Russian Federation on Clinical Microbiology and Antimicrobial Resistance; President of the Inter-regional Association for Clinical Microbiology and Antimicrobial Chemotherapy, Smolensk Russia, as part of the Global Respiratory Infection Partnership meeting held in Thailand in September 2017. Interview with Prof. Roman Kozlov, Director of the Institute of Antimicrobial Chemotherapy, Smolensk State Medical University; Chief Specialist of the Ministry of Health of the Russian Federation on Clinical Microbiology and Antimicrobial Resistance; President of the Inter-regional Association for Clinical Microbiology and Antimicrobial Chemotherapy, Smolensk Russia as part of the Global Respiratory Infection Partnership meeting held in Thailand in September 2017. Interview with Dr Doug Burgoyne, President of Veridicus Health, Salt Lake City, Utah, USA as part of the Global Respiratory Infection Partnership meeting held in Thailand in September 2017. Interview with Prof. Antonio Carlos Pignatari, Professor of Infectious Diseases and Director of the Special Clinical Microbiology Laboratory of the Division of Infectious Diseases, Federal University of São Paulo, Brazil as part of the Global Respiratory Infection Partnership meeting held in Thailand in September 2017. Interview with Prof. John Oxford, Emeritus Professor of Virology at St Bartholomew’s and the Royal London Hospital, Queen Mary’s School of Medicine and Dentistry, UK as part of the Global Respiratory Infection Partnership meeting held in Thailand in September 2017. Interview with Dr Alike van der Velden, Assistant Professor, University Medical Center Utrecht, Netherlands as part of the Global Respiratory Infection Partnership meeting held in Thailand in September 2017.